You’re probably wondering – what are dog-eared pillows? 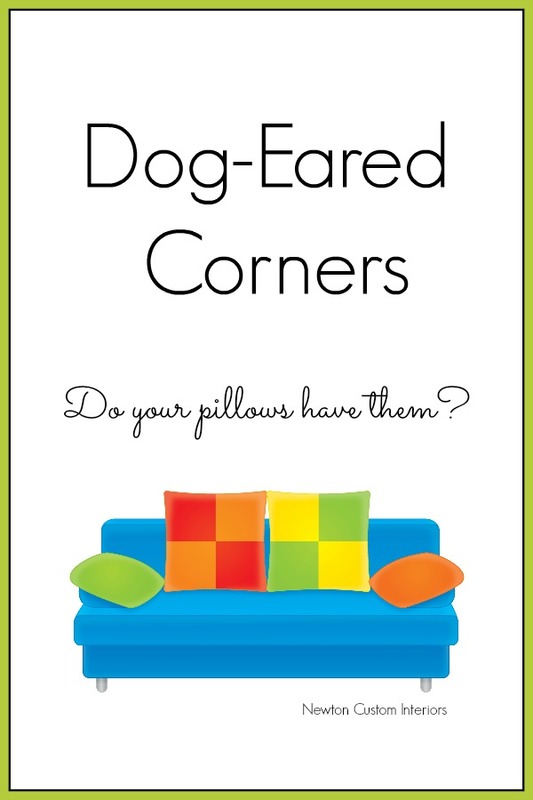 They are pillows that have corners that stick out like a dog’s ears. Some people like their pillows like that, and some don’t. It’s really a matter of personal preference. If you cut your pillows with square corners, they are probably going to stick out a bit. 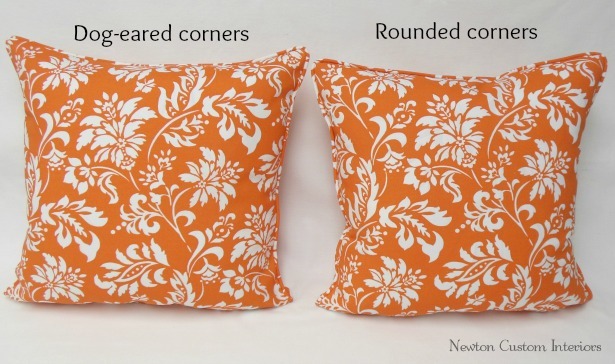 In the example below, the pillow on the left has square cut corners, and the pillow on the right has had the corners tapered or rounded slightly. Here’s a close up of the corners. The difference is kind of subtle. There’s a simple fix for dog-eared pillows. 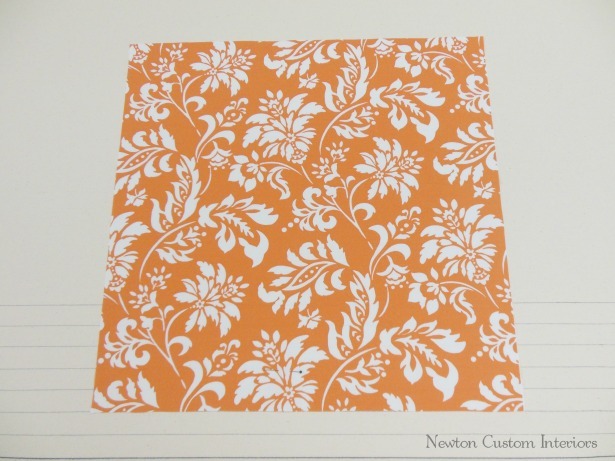 Normally pillow squares would be cut like the one in the picture below, with square corners. 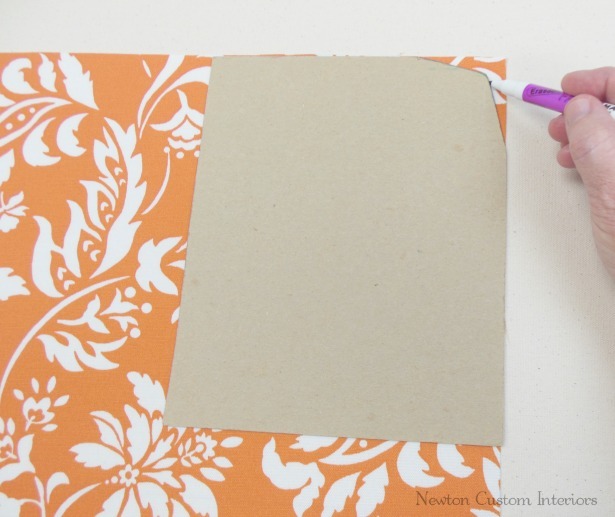 You can make a simple adjustment to your corners during the cutting step. To do this easily, I have made a corner template, that you can see in the picture below. Starting from 2″ away from corner, there is an angle over 1/2″. You do this on both sides of the corner, for all four corners. 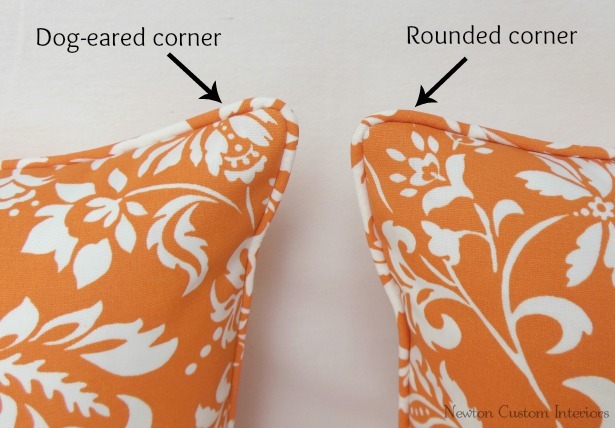 Once you have cut your tapered corners, just finish off the pillow like you normally would. I have written a couple of posts about how to make a pillow, and how to hand sew a pillow closed if you have any questions about finishing off the pillow. So what do you think? Do dog-eared corners bother you, or not? Thank you for the info on dog eared pillows, it was a tremendous help. Trudy, I’m glad it was helpful!